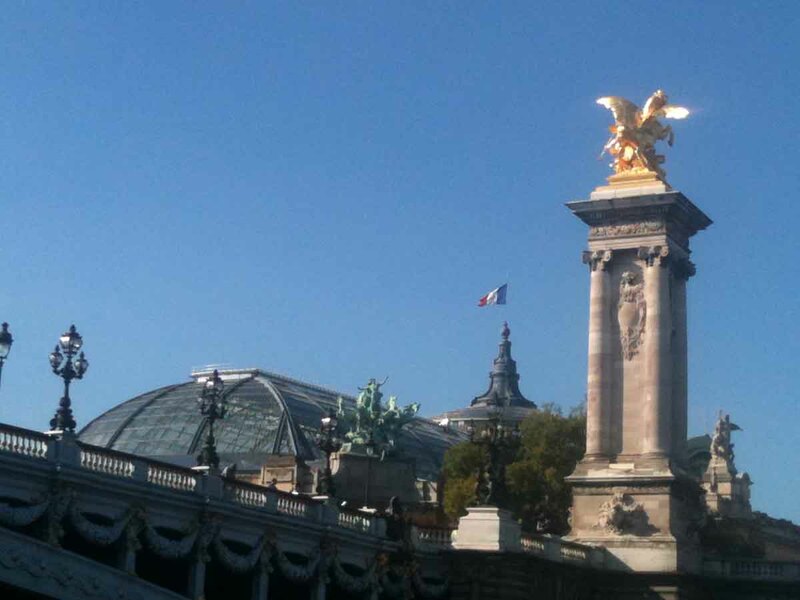 During a week in Paris, treat yourself with a full immersion into the French language! Your vacation will be a perfectly adapted language training session where your needs and requests will be fulfilled according to your preferences. Get a full taste of the French life as you are learning all the fine details of the French language..
Visit our wonderful city with François and Leslie as bilingual guides. 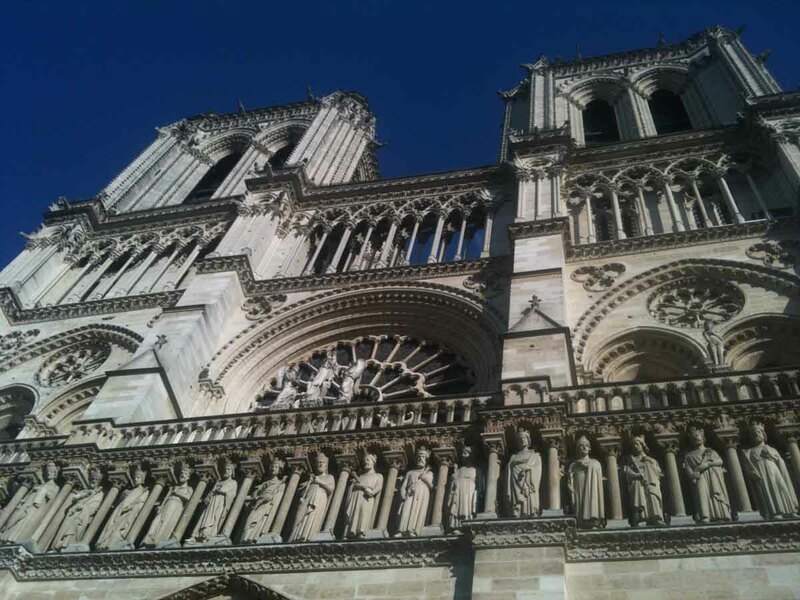 Discover many aspects of the French culture as we enjoy daily visits of Paris. Learning or improving your French can be done in a very subtle and personal approach which will answer your needs (We know by experience that each one of us has specific needs that’s why we welcome up to three students at the same time). François will be your main teacher and your guide in the area. He lived in the US for several years and his wife (Leslie) and four children are American. He has been teaching French and English as a private teacher for many years and he strongly believes in teaching to small groups (no more than three). He now shares his time between Paris and the Côte d’Azur, organizing training sessions that will give you life long memories. François, Leslie and Denise are in charge of “Everything” during your stay. Their experience and full availability will allow you to fully enjoy the exceptional pleasures of the French Riviera at the same time you take an incredible step ahead to your knowledge and practice of French. We let you choose your B&B or hotel depending on your taste and budget. We know several B&B or friends of ours who are always happy to supply a room and breakfast for a very interesting price (40 € to 60 € a night). They are located in a quaint and convenient “arrondissement” of Paris (14 or 13ème). For lunch, François loves to show some of his favorite Parisian restaurants depending on your taste and on the area you wish to visit (the cost is included). For dinner, we usually choose a restaurant around your place and eat around 7:00 pm and have a lot of conversations (in French if you’re up to it…) about the visits of the day. After dinner, François leaves you at your place and we meet again the next morning at 9:00… (Of course, we can organize the day differently if you wish). You can easily fly into Charles de Gaulle or Orly airport or you can take the Eurostar if you live near London. In any case, François will be happy to pick you up and bring you to your place in Paris. With 4 hours of class every day (from Monday to Friday), we usually cover all that you need to learn depending on your weaknesses in the French language. We speak French from dawn to dusk but if you feel lost at any time, we can use a little English. Depending on your level and your expectations, we focus on conversation or grammar but most the time both aspects are covered. The verbs are always at the center of the study because they supply the necessary motor of a sentence. We know how to make the subjunctive an easy tool that you can use all the time as well as “en” or “y”… or so many other important points. We try to have the same level for the whole group so it’s better to have a short conversation in French on Skype or on the phone with François before we organize the stay (don’t worry about your accent or any mistake you will make. You are not a French native and François is very aware of the difficulties you might have…). If you’re a beginner we will make sure the other students are beginners too. Also, François loves to share all the interesting aspects of the French culture and more precisely the history of the different “quartiers” of Paris. Simply send us an Email or give us a call and let us know you’re interested. Then, we can speak on Skype or on the phone and set up the details (date, level and any other request you might have. We are very flexible…). When we both agree on a time, we just need a down payment of 200 € to ensure the reservation. Picking you up at the airport or at the station on Sunday evening and dropping you off on Friday evening. Lunch and dinner every day in a typical Parisian restaurant with us or with our family (Some students enjoy spending the evening alone though...). 4 hours of French class focused on what you need the most to be fluent in French. We have to ask for a down payment of €200/person at the reservation. The balance can be paid at the beginning of the session once you are here. We can send you a link to our secure payment interface (supplied by PayPal) allowing you to use a credit card. You can also use a money transfer (all you need is our bank account reference). The dates and details can be adapted according to your request. The dates and details can be modified according to your request as long as all the students agree. It is necessary to discuss all that in advance.